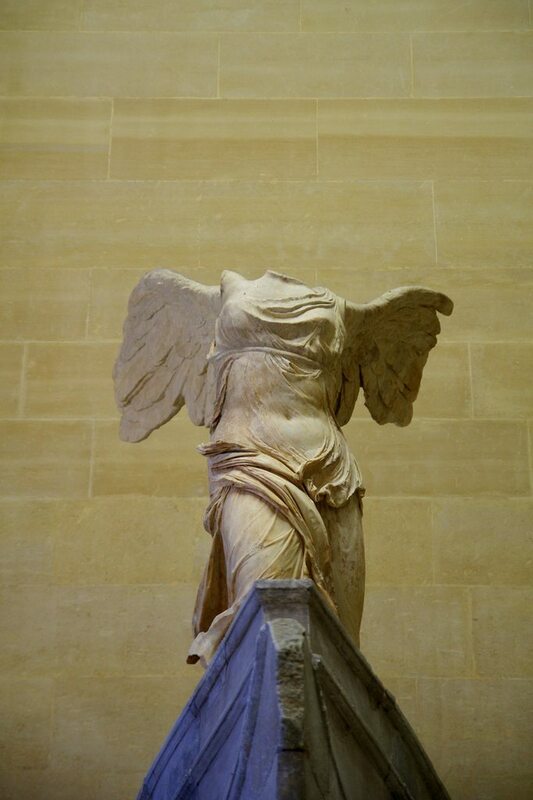 I’ve been debating whether or not to write a post about our visit to The Louvre. I have to admit, I’m struggling with whether or not a post consisting solely of photographs of artwork will be interesting. In the end, I decided to start off with photographs of statues. Statues seem to photograph better than paintings…maybe because they’re three dimensional…or maybe because I have a soft spot for statues. How sculptors can take something rock-solid and turn it into something that looks flowing and full of life is beyond me. The Louvre is HUGE, and I’m honestly not sure how many hours we spent there. We purchased our tickets ahead of time, which allowed us to wait in a shorter line than the normal line. We had a general game plan as far as the things that we knew we had to see — The Mona Lisa, Winged Victory, and Venus de Milo. It was a rather short list because I’m not terribly familiar with artwork from the time period featured at The Louvre. 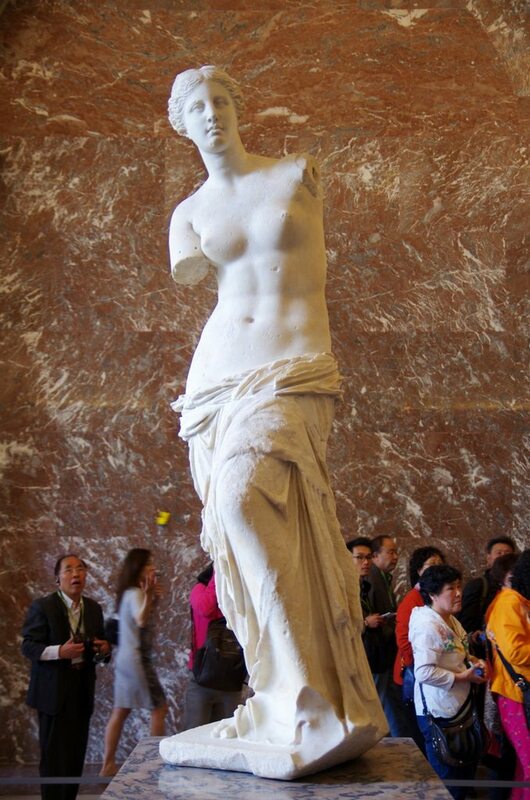 I read several different “10 Things You Must See at The Louvre” articles before our trip, and most of the items in those lists didn’t really interest me. I’m fairly detail-oriented, so in addition to taking photographs that show entire statues, I also like to take up-close photographs of certain portions/parts of the statue that caught my attention. I think this love of and appreciation for detail is part of what fuels my interest in statues. The building that houses The Louvre is visible in the background of several of photographs in this post — be sure to take in the beauty of the building itself! Disclaimer: Nearly all of the information placards accompanying art on display in The Louvre are entirely in French. I did my best to correctly identify the titles, authors, materials, and time period of each of the statues showcased in this post. Here is a link to an Imgur photo album containing all of the photos in this post.